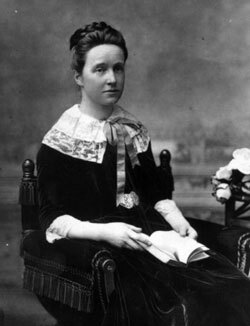 Millicent Garrett Fawcett (1847 – 1929) was a leading Suffragist and campaigner for equal rights for women. She led the biggest suffrage organisation, the non-violent (NUWSS) from 1890-1919 and played a key role in gaining women the vote. Reflecting her passion for education, she helped to found Newnham College, Cambridge. She also engaged in other political activities such as supporting worker rights and overcoming laws which were based on a dual morality for men and women. (NUWSS typescript, n.d., Manchester Central Library, M50/2/10/20). Through becoming a loyal supporter of J.S. Mill, Millicent became acquainted with other prominent activists of a similar mind. One of these was the radical MP for Brighton, Henry Fawcett. He had been blinded in an earlier shooting accident, but the pair felt a close intellectual affinity and married in 1867, despite the fact he was fourteen years her senior. Millicent worked as Henry’s secretary but also pursued her own writing career. She wrote a short book ‘Political Economy for Beginners‘. It received praise for its succinct and direct explanation; it ran for ten editions and 41 years. Her capacity to simplify complex arguments proved useful in her career as a suffragist. She also had a clear voice and made a good speaker. Millicent also played a role in the founding of Newnham College, Cambridge. The Fawcetts’ Cambridge drawing room was a key meeting place for the supporters of women’s education in Cambridge, and Millicent herself gave help and shrewd advice in the early planning and growth of Newnham. [Newnham College] The college was founded in 1870; her daughter, Phillipa would later attend the college. In 1884, Henry Fawcett was taken ill, while serving in William Gladstones’ Liberal government as postmaster general. He died of pleurisy on 6th November 1884. It was a big shock for Millicent, who was widowed aged only 38. After her husband’s death, she devoted more of her time to political campaigning and became involved in the Personal Rights Association. This was a group dedicated to protecting vulnerable women. In 1890, she was elected President of the National Union of Women’s Suffrage Societies (NUWSS) which was the largest group campaigning for women to receive the vote. This organisation campaigned mainly on equal rights for women, but under Fawcett also supported other causes such as the abolition of the slave trade, and forming a relief fund for South African women and children during the Boer war. In 1901, there was growing outrage against the use of ‘scorched earth’ tactics against the Boer civilian population. As part of an investigation, Fawcett was asked to visit South Africa and report on conditions in the concentration camps. Her report confirmed early warnings that many were dying needlessly in the camps, though the official government version attributed the deaths to other factors. A big disappointment for the women’s suffrage movement was when the Liberal government refused to countenance giving women the vote in their period in office 1901-1914. This encouraged the more militant suffragettes to engage in direct action – breaking windows and, when sent to jail, taking part in hunger strikes. This willingness to resort to violence caused a deep divide in the women’s movement. 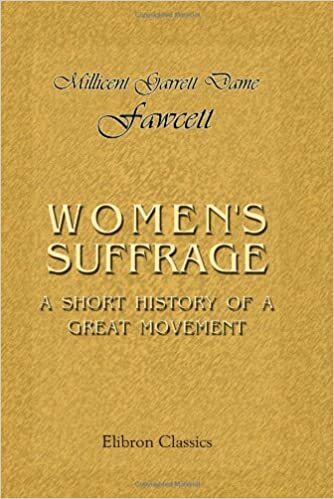 Fawcett and the NUWSS remained committed to achieving the vote through constitutional means and argued that militancy was counter-productive. Although Fawcett admired the courage of the more militant WPSU members, she blamed the WPSU’s direct action for preventing the government voting on the issue. In 1912, fed up with the Liberal’s opposition to giving women the vote, the NUWSS supported the nascent Labour Party. ‘Women, your country needs you. As long as there was any hope for peace, most members of the National Union probably sought for peace, and endeavoured to support those who were trying to maintain it. But we have another duty now.. Let us show ourselves worthy of citizenship, whether our claim to it be recognized or not’. – Millicent Fawcett of the NUWSS writing in The Common Cause August 1914. Her support led to many members of the NUWSS leaving the movement with a substantial degree of acrimony. However, the First World War changed the social and political landscape. With women actively working in industry to support the war effort, there was a groundswell of opinion to give women the vote. In 1918, the ‘Qualification of Women Act’ was passed – giving women over the age of 30 the vote. The NUWSS was disbanded and shortly after Millicent retired from active engagement in politics. She later wrote a book about the struggles for the vote The Women’s Victory (1920). She was also still active in a less prominent way on issues such as education for Indian women, allowing women to get degrees from Cambridge and creating greater equality of opportunity for women. Millicent Fawcett died, the next year, on 5th August 1929. ‘To women as mothers is given the charge of the home and the care of children. Women are therefore, by nature as well as by training and occupation, more accustomed than men to concentrate their minds on the home and the domestic side of things. But this difference between men and women, instead of being a reason against their disenfranchisement , seems to me to be the strongest possible reason in favour of it; we want to see the home and the domestic side of things to count for more in politics and in the administration of public affairs than they do at present’. Millicent Fawcett Home and Politics, n/d. The whole text can be found in Lewis, J. (ed) (1987) Before the Vote was Won: Arguments For and Against Women’s Suffrage, London, Routledge & Kegan Paul, pp. 418-424. The NUWSS and the WSPU between 1905 and 1911 adopted different election policies… The WSPU cry in every election was “Keep the Liberal out,” not, as they asserted, from party motives, but because the Government of the day, and the Government alone, had the power to pass a Suffrage Bill; and as long as any government declined to take up suffrage they would have to encounter all the opposition which the militants could command… The NUWSS adopted a different election policy – that of obtaining declarations of opinion from all candidates at each election and supporting the man, independent of party, who gave the most satisfactory assurances of support. 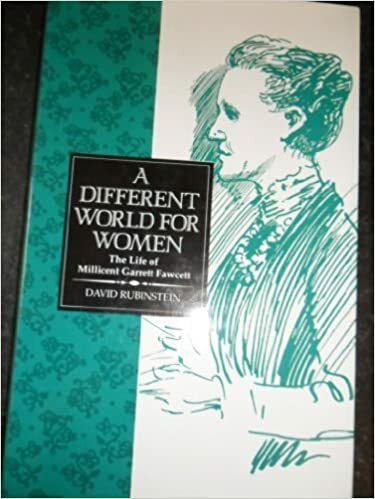 Women’s Suffrage published in 1911, Millicent Garrett Fawcett compared the tactics of the NUWSS and the WSPU. Citation: Pettinger, Tejvan. 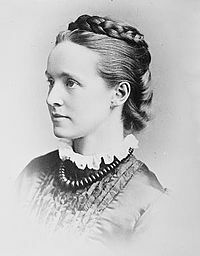 “Biography Millicent Fawcett”, Oxford, www.biographyonline.net, 11th Feb 2013. Updated 7th Feb 2018.